In case anybody had any doubts in the past, we feel it is now pretty safe to historically name YouTube as the next big multimedia content revolution. Sure, "online video" might be a more technically correct and inclusive, but let's be real, with over a billion hours of content consumed per day, YouTube in the undisputed king. That being the case, Google's multimedia arm can't afford to take its sights off the future even for a moment. So, it only comes natural that things like annotations - an old remnant, dating back to 2008, well before the HTML5 revolution, eventually get axed. Well, the date is already set for the Annotations Editor, which will officially stop working on May 2. After that point, existing annotations on videos will still remain, but users won't be able to edit them or create new ones. The only thing left intact will be the delete functionality. And YouTube has a few fairly good reasons for you to finally get rid of the aging format. First of all, as we previously mentioned, annotations were a thing back when the vast majority of YouTube traffic came from desktop computers with a browser and the original web cool kid - Flash Player on board. 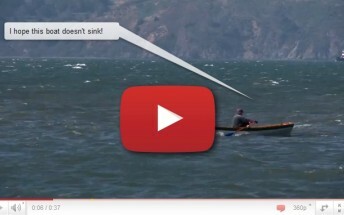 Nowadays, YouTube estimates over 60% of its traffic comes from mobile, where annotations simply don't work. If that's not enough of an incentive to ditch them, there are other convincing numbers as well, like the fact that users dismiss 12 annotations on average before clicking on one and many turn the feature off all together. What YouTube wants you to do is migrate to the much more modern Cards and End Screens. Most creators already have, as evident by a massive 70% drop in annotation usage since their arrival. Both new standards are designed with mobile users in mind and work well. They are also more interactive and up to 10 times easier to make and maintain that annotations, thanks to conveniences, such as End Screen importing from other videos and dynamic overlays. Still, some YouTubers have already expressed their concerns for certain use cases, but, in any case, it looks like Google is making the switch whether they like it or not.